Oregano oil is extracted from the leaves of the oregano (Origanum vulgare) plant, a perennial herb belonging to the family of Lamiaceae. In a past post about oregano oil, I discussed its numerous beneficial properties. Now, I'd like to cover how it can be used to address a wide range of problems. Here’s a guide to help you get the most out of this wonderful oil. 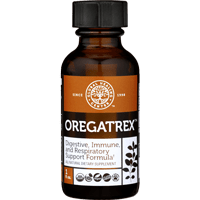 Whether your muscles are sore or your joints are stiff, oil of oregano can be used topically to penetrate the skin and help soothe the discomfort that may be causing your issue. Rub a 50/50 mixture of organic oregano oil and organic olive oil onto the affected areas. When you begin to notice that itchy feeling in the back of your throat and feel something coming on, place 3-6 drops of oil in an empty capsule and take 2-3x daily just before meals every day for 5-10 days. Place 3-6 drops of oil in an empty capsule and take 2-3x daily, just before meals. The high levels of thymol and carvacrol found in the oil can help to calm upset stomachs and assist with digestion. Rub a 50/50 mixture of organic oregano oil and organic olive oil on the outside of the ear. For children, a 25% oregano oil and 75% olive oil mix should be used. Never put essential oregano oil directly in the ear canal! Preparing for a hike? Take along a 50/50 mixture of organic oregano oil and olive oil. 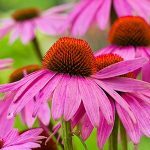 It can help neutralize and extract the venom from any insect bite or sting, and may even assist with allergic reactions from wasp or bee stings. Simply apply to the swollen area. The next time you get a headache, try rubbing a 50/50 mixture of essential oregano oil and olive oil between your eyebrows and on your forehead and temples (do NOT get any in your eyes!) You can also sniff the fumes of the oil to provide further assistance to your sinuses. 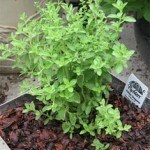 Oregano oil can provide pain relief instantly and may prevent blisters. Combine 1 drop of oregano oil with 1 teaspoon of olive oil and apply to the affected area. Mix a drop of oregano oil with 1 teaspoon of olive oil, and then swish it around in your mouth around your tooth or gums. 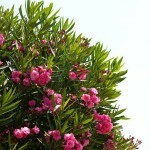 You can also use it as a kind of medicated mouthwash. Take a sip of water, swish it around your mouth for 1 to 2 minutes, and spit it out. Repeat as needed daily. 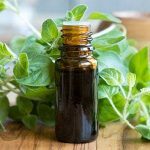 Just remember oil of oregano should be diluted before applying it directly to your skin, Typically, this will be one teaspoon of olive or coconut oil per drop of oregano oil. Make oregano oil a regular part of your home first aid kit. Having a 50/50 mixture of olive oil and oregano oil already prepared will leave you prepared for health issues that arise.